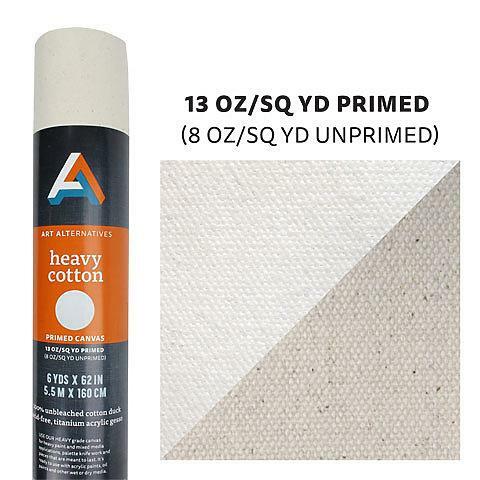 This medium-heavy weight, unbleached artist canvas is primed with acid-free titanium acrylic gesso. It is ideal for most painting projects and a great base for use with oils, acrylics, alkyds, spray paint, or other painting mediums. Canvas weight is 8 oz. before priming and 13 oz. after priming.